OPINION | What Can Cause Confrontation Between Russia and Turkey? Home / Opinion / Russia / Syria / The Middle East / Turkey / OPINION | What Can Cause Confrontation Between Russia and Turkey? Recent events in the Middle East and in particular to the destruction of the Russian Su-24 by the Turkish Air Force F-16s and just after that followed the destruction of the Russian helicopter which was sent for a rescue mission that resulted in to the death of a Russian pilot and a Marine. This could possibly lead to extremely negative consequences, not only for this region but overall Syria and in neighboring countries. One can argue – who is to blame in all of this?, but the fact remains that the certain steps were to be taken which can lead to a new conflict that could be the beginning of a global confrontation and ultimately a war. Questions continues - What Putin is seeking in the Middle East? What are the Russians doing in the Middle East? The downing of a Russian jet by Turkish F-16s raises questions about Russian ambitions and goals in the region, with President Obama and President Hollande of France outlining changes Russia should make to its military strategy in Syria and to its position vis-a-vis the Islamic State. 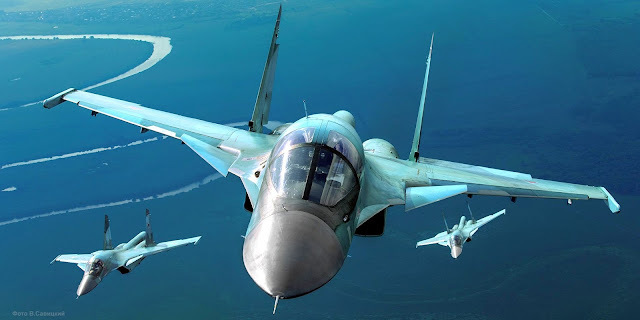 Perhaps the first and obvious point is that Russian military power is being exercised to keep Bashar Assad in his present position as president of Syria, a post that has secured Russia naval presence in the eastern Mediterranean and an air base in Latakia. But this is merely one aspect of a strategic plan. Without much fanfare Egypt and Russia signed a nuclear agreement, which along with a $2 billion arms deal, seals the return of Russia to Egypt for the first time in four decades. It also represents the eclipse of American preeminence. In the wake of the 1973 Yom Kippur War, Russia was forced out of the Middle East, but as a consequence of the P5+1 agreement and a precipitous U.S. retreat, it is the emerging strong horse in the region. In fact, the cost of the Egyptian Dabaa Nuclear Power Station will be borne by a Russian through a loan spanning over 35 years, ultimately giving Russia a foothold in Egypt for the foreseeable future. Deals signed with Mr. Assad for the construction of two nuclear plants were also one kind of long-term arrangements. Russian engagement is not driven only by military concerns, albeit the proximity of these Muslim nations to the southern tier of Russia where many Muslims reside should not be underestimated. As I see it, hard currency in Russia is derived from one and only one primary source i.e., natural gas. Russian President Vladimir Putin is aware of the natural gas veins which were discovered in the Mediterranean off the coast of Syria. Russians also knows that a Turkish pipeline, once completed in 2017 will challenge the virtual monopoly of Russia in maintaining the flow of natural gas to Europe. Hence the tension with Turkey. It is not merely the question of toppling Mr. Assad as the Turks would like or keeping him in authority, but the questionable factor is whether the natural gas monopoly can be sustained in near future? There is another dimension to this complicated picture. Mr. Putin has said in several interviews that the disassembling of the Soviet Union was “humiliating.” He has noted that empire and the glory of national destiny can be reacquired. This goal can be achieved in one way: undermining the dominant role of the United States on the global stage. In Mr. Obama, Putin has found a willing and acquiescent partner. Mr. Obama contends a retreat in an appropriate stance since U.S. engagement either exacerbates an already difficult situation or forces a long-term commitment, the nation is unwilling to endure. As a consequence, the U.S. involvement in the Middle East which served as a balance wheel — however precarious — has been dislodged leaving a vacuum in its place, a vacuum Mr. Putin has been pleased to fill, ready to fill. From Mr. Putin’s perspective, this is a major gift. A nation suffering from the effects of a stagnant economy, longevity rates declining, alcoholism on the rise and, despite claims to the contrary, a second-rate military, has been accorded the gift of empire and international standing. Russia has risen from despair to the height of Middle East power broker. From al Sisi to Netanyahu, from Khomeini to Salman, one meets with Mr. Putin to determine the fate of their respective nations. Of course, with these words, we can agree, but it should be borne in mind that a confrontation with Turkey may have more serious consequences. If Turkey had not taken place in connection with the destruction of the Russian bombers, it could have taken place later, when the Syrian army with the support of the Russian Air Force would come out on the Syrian-Turkish border. Let’s see: what could Russia do against Turkey and what Turkey might do against Russia. Russia, with the support of the Syrian army can actually block the Syrian-Turkish border and cut off the Turkmens who are living in northern Syria near the Turkish border. That Turkey can not avoid, because he believes their Turkic-speaking people and fully supports them. It is like Russia who supported Russians in Ukraine and Ukrain lost this territories! Russia may also support the Kurds living in Turkey, with where they live about 40 million. Russia can start a conflict on the territory by the hands of the Kurds inside Turkey. It will be indirect military action against Turkey. In this context, NATO will not be able to intervene in the conflict, as it will be internal. Such was the case with France in Algeria and then the military alliance intervened in the conflict, because it considered internal. Russia could also destabilize the situation in the South Caucasus – it can not complete the construction of the Turkish pipeline, which will pass through Azerbaijan, Georgia and Turkey. This construction should be completed in 2017 and will cast serious doubt on Russia’s monopoly on gas supplies to Europe. What Turkey can answer? Yes, it can support Azerbaijan in its conflict with Armenia regarding the Karabakh conflict. Then begins an armed conflict that may involve several countries. And the outbreak of hostilities between Armenia and Azerbaijan may lead to a new war, which unfold from the South Caucasus and will affect Iran and the Middle East. The deterioration of relations between the two regional powers after the incident with the downed Russian plane in Armenia also raises concerns that small Armenia can be involved in a growing confrontation. Fears exists in no small part due to the fact that Armenia as a country is a dominant Russian military fortress. And any contribution through this fortress to the conflict will lead to an aggravation of the situation in the Armenian-Turkish border. Yerevan also fear that the diplomatic and political actions of Turkey may cause aggravation of the situation around the disputed Karabakh region. Armenia for several decades in a state of “no peace, no war” with Azerbaijan – the closest ally and strategic partner of Turkey due to Turkic heritage. Violations of the ceasefire on the border between Armenia and Azerbaijan takes place regularly, and in the last few months – with the profound use of heavy artillery. In this connection I would like to raise the question of how Russia is going to rally and implement the support for its ally – Armenia? The answer to this question is very simple – through the territory of Georgia. After all, the Russian railway troops has already restored "before-the-end" of the railway line till Inguri River in Abkhazia, also the construction of a highway in Dagestan to the border with Georgia is under construction, which is called Avar- Georgian Highway and recently Chechen President Ramzan Kadyrov said that once the highway gets completed through Chechnya to the border with Georgia, he is going to seek finance for the construction of the new railway line. Thus, the supply lines between Armenian and Russian armed forces should remain uninterrupted. As for Georgia, its government did not take any serious steps to protect its territory from a new invasion, which may occur with the escalation of confrontation between Turkey and Russia. Recently the Minister of Energy of Georgia K. Kaladze made a very serious remark that Georgia will receive gas from Russia, which led to the arrival of President of Azerbaijan Ilhan Aliyev in Tbilisi. One doesn't need to explain signs to wise men. At the moment it is very much impossible to give any good prognosis of this situation. Russia, if not attack Georgia again, it will use all the levers of pressure within the government and military establishments to secure a reliable rear and establish uninterrupted supply lines and communication with Armenia, We can not ignore the fact that Russian troops could occupy the territory at the Armenian-Turkish border. In this situation, the Turks will be under attack from two sides - the Syria and the entire South Caucasus. Lt. Col. Merab Surguladze Georgian Army (Retd.) Currently, Head of GCSSI Middle East Section and Military Section. He is a veteran of several conflicts, former senior officer of J5 Department of General Staff of Georgian Army and performed his duty as a specialist of Strategic Planning in Caucasus Region. This article was originally published at Georgia Caucasus Strategic Studies Institute on December 8, 2015. All Rights Reserved by the Original Publisher.